Dried baby's breath crowns Greek wedding Stefana made of fabric flowers, porcelain buds and leaves, dried gypsophila(baby's breath) and pearls. The crowns are attached together with an organza ribbon. They include two groom's buttonhole pins and a case to keep them safe after the ceremony. One size. Diameter 21 cm approximately 9 inches. Tax and shipping cost are calculated at the cart. 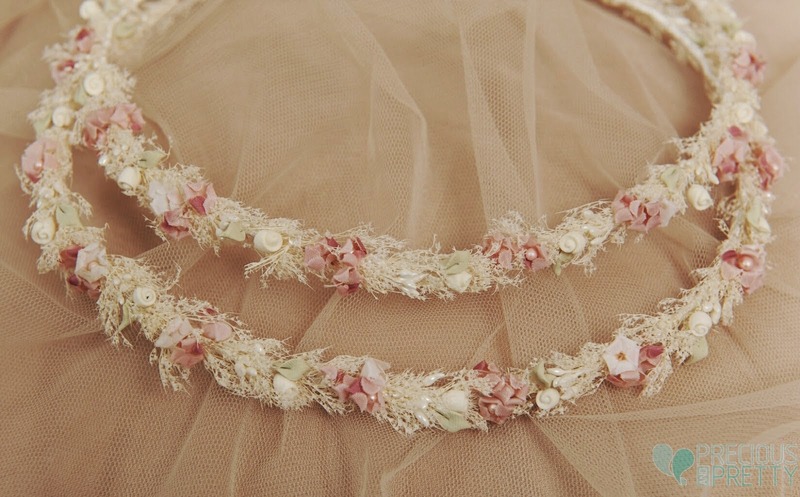 https://www.preciousandpretty.com/2019/01/babys-breath-wedding-crowns-stefana-1068.html Greek Wedding Favors|Orthodox Crowns|Stefana|Baptism Invitations Babys breath wedding crowns stefana 1068 Babys breath wedding crowns stefana from Greece. Product #: Greek Wedding Favors|Orthodox Crowns|Stefana|Baptism Invitations_3019809077416129540 5 stars out of 5 reviews.